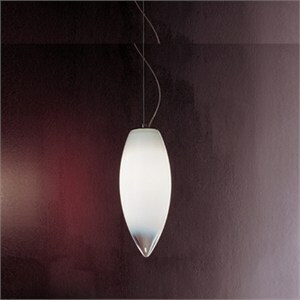 Unique teardrop-shaped pendant light in mouthblown glass. Made in Italy. Design: Mauro Olivieri.